Umherirrender added a comment to T213410: Start using PHP 7.0 features in WMDE maintained extensions. Umherirrender closed T195145: MathSearch extension is missing @covers tags as Resolved. Umherirrender closed T195166: TwnMainPage extension is missing @covers tags as Resolved. Umherirrender committed rESCC3d10bc1a9901: Remove tests/phan/issue from .gitignore (authored by Umherirrender). Umherirrender committed rEWCS1bbb2b74e008: Remove tests/phan/issue from .gitignore (authored by Umherirrender). Umherirrender added a comment to T205293: Create a component project for the EditAccount extension. EditAccount doesn't currently support AuthManager (T135264) and is bascially abandonware at this point. Given that and the fact that EditUser exists, I think it'd make more sense to update EditUser to support whatever EditAccount currently has that EditUser doesn't (I guess the "this account has been disabled" banner is one such feature?) and archive EditAccount altogether. Umherirrender created T221494: Archive the EditAccount extension. Umherirrender committed rETEIeceb33e91cc8: Rename same-named file editor.js to teiEditor.js (authored by Umherirrender). Umherirrender committed rECDI1d047f98b617: classes: Replace usage of deprecated SearchEngine::searchableNamespace() (authored by Umherirrender). Umherirrender committed rEUAG5a63a4136320: Convert mediawiki links from http to https (authored by Umherirrender). Umherirrender added a comment to T221236: RfC: self vs <ClassName> for class self-references. Umherirrender merged T221409: PHP Notice: Undefined index: 88 in PagedTiffHandler_body.php into T200839: PHP Notice: Undefined index from PagedTiffHandler_body.php:269. Umherirrender merged task T221409: PHP Notice: Undefined index: 88 in PagedTiffHandler_body.php into T200839: PHP Notice: Undefined index from PagedTiffHandler_body.php:269. Umherirrender committed rELDB6de1bae30a19: build: Updating mediawiki/mediawiki-codesniffer to 25.0.0 (authored by Umherirrender). Umherirrender added a comment to T221128: Wikibase / CirrusSearch tests are blocking merges in Math extension. Umherirrender updated subscribers of T221128: Wikibase / CirrusSearch tests are blocking merges in Math extension. Umherirrender added a comment to T220245: Special:EditWatchlist fatal timeout from array_search() in oojs-ui/php/Tag.php. Umherirrender added a comment to T219736: /ttmserver/ElasticSearchTTMServer.php: Call to a member function getAggregations() on null. ElasticSearchTTMServer::getFacets needs a resultset to call getAggregations. Umherirrender added a comment to T216287: CentralNotice must not query master on GET request (page views). This looks like it should use DB_REPLICA. Umherirrender added a comment to T217079: Database error "Duplicate entry" for PRIMARY key (from EchoNotificationMapper::insert). Umherirrender committed rEWDV3c7de166aa76: build: Updating mediawiki/mediawiki-codesniffer to 25.0.0 (authored by Umherirrender). Umherirrender added a comment to T220888: WebDAV master is broken on PHP7. * CI: Use of undefined constant WEBDAV_AUTH_TOKEN. Umherirrender committed rEWDV45500ce3ca72: Define constants in extension.json callback under $wgWikimediaJenkinsCI (authored by Umherirrender). Umherirrender committed rEWDV9587e1aa37dd: Define constants in extension.json callback (authored by Umherirrender). Umherirrender committed rEWDV5646b4e1fbd1: Define constants in extension.json callback (authored by Umherirrender). Umherirrender committed rESS3c6fa5f9917c: Add i18n key searchstats (authored by Leelasai). Umherirrender committed rESS9fb261c6ffe8: Convert links from http to https (authored by Nikitrain). Umherirrender committed rEBSZ777186235686: Add mediawiki/mediawiki-codesniffer (authored by Umherirrender). Umherirrender committed rEBSVcff6f1d444b2: Add mediawiki/mediawiki-codesniffer (authored by Umherirrender). Umherirrender reopened T220888: WebDAV master is broken on PHP7. * CI: Use of undefined constant WEBDAV_AUTH_TOKEN as "Open". 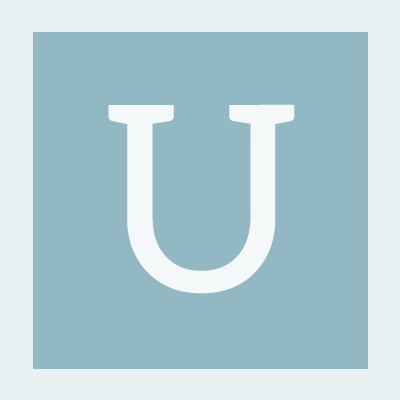 Umherirrender added a comment to T220893: API for listing authors of an article. The repo of this extension was created in February, so I would not assume this is an old extension. I may look old due to imports, but there must be a fresh request to get this extension and cleanup seems not the best approve when it stays only 2 month here. Umherirrender committed rEMDO976ca94fcc1d: Add missing action- messages (authored by Umherirrender). Umherirrender committed rEBUC5ec4d6716655: Add right-message for existing action-message (authored by Umherirrender). Umherirrender committed rECPW4cba89a2c0b8: Add missing action- messages (authored by Umherirrender). Umherirrender committed rEBUCdd8bbec6a656: build: Updating mediawiki/mediawiki-codesniffer to 25.0.0 (authored by Umherirrender). Umherirrender created T220879: VoteNY extension is using zero date in own schema and failing in strict mode. Umherirrender created T220878: Comments extension is using zero date in own schema and failing in strict mode. Umherirrender committed rELDG0d05a4e86502: Add missing action- messages (authored by Umherirrender). Umherirrender created T220877: Challenge extension is using zero date in own schema and failing in strict mode. Umherirrender committed rESECb0d92dee2f0a: Add missing action- messages (authored by Umherirrender). Umherirrender committed rESEC81e39aa72f31: Add missing action- messages (authored by Umherirrender). Umherirrender committed rEBTTc1c3557acd94: Add mediawiki/mediawiki-codesniffer (authored by Umherirrender). Umherirrender added a comment to T220779: Add test to check existence of action- messages. Umherirrender committed rERXB5c4a690d68eb: Add missing action- messages (authored by Umherirrender). Umherirrender committed rEDUA5c3697fe7546: Add missing action- messages (authored by Umherirrender). Umherirrender committed rEHAW3dfd533df061: Add missing action- messages (authored by Umherirrender). Umherirrender committed rEBTA8212b9edebc3: Add missing action- messages (authored by Umherirrender). Umherirrender committed rEBTVb394cff039d7: Add missing action- messages (authored by Umherirrender). Umherirrender committed rEBSU2bc9b02e232b: Add missing action- messages (authored by Umherirrender). Umherirrender committed rEBSB1b268f3b2b7a: Add missing action- messages (authored by Umherirrender). Umherirrender committed rEANP3801d3941cc1: Add missing action- messages (authored by Umherirrender). This landed just after the REL1_33 cut, which gives developers six months to fix before people will sanely be using their code. Hardly "unbreak now". Umherirrender committed rEBTHc291adceaf53: Add mediawiki/mediawiki-codesniffer (authored by Umherirrender). Looking at wmf is not enough, there are at least 114 missing action messages in 77 extensions. Umherirrender committed rEBSSMWC7011b213c065: Add mediawiki/mediawiki-codesniffer (authored by Umherirrender). Umherirrender committed rEBSES28fa34779432: Add mediawiki/mediawiki-codesniffer (authored by Umherirrender). Umherirrender committed rEBTG7a27cc912f69: Add mediawiki/mediawiki-codesniffer (authored by Umherirrender). Umherirrender committed rEBTI25142aa33a8f: Add mediawiki/mediawiki-codesniffer (authored by Umherirrender). Umherirrender committed rEBSWb63e3c865a3a: Add mediawiki/mediawiki-codesniffer (authored by Umherirrender). Umherirrender committed rEBSV3cd12e4755f5: Add mediawiki/mediawiki-codesniffer (authored by Umherirrender). Umherirrender committed rEBSNf9894243e417: Add mediawiki/mediawiki-codesniffer (authored by Umherirrender). Umherirrender committed rEBSZ3be7e2da984e: Add mediawiki/mediawiki-codesniffer (authored by Umherirrender). Umherirrender committed rEBTUa07d5cea836c: Add mediawiki/mediawiki-codesniffer (authored by Umherirrender). Umherirrender committed rEBTVfc56dc37c50b: Add mediawiki/mediawiki-codesniffer (authored by Umherirrender). Umherirrender committed rEBST20d0414d8029: Add mediawiki/mediawiki-codesniffer (authored by Umherirrender). Umherirrender committed rEBSH8a81c63da231: Add mediawiki/mediawiki-codesniffer (authored by Umherirrender). Umherirrender committed rEBTA8684852772fc: Add mediawiki/mediawiki-codesniffer (authored by Umherirrender). Umherirrender committed rEBUA023d791c1570: Use valid license identifier (authored by Umherirrender). Umherirrender committed rEBTT8f6114d5e373: Add mediawiki/mediawiki-codesniffer (authored by Umherirrender). Umherirrender committed rEBTT014e5e238be9: Add mediawiki/mediawiki-codesniffer (authored by Umherirrender). Umherirrender committed rEBTXaf6ccbe9e2fe: Add mediawiki/mediawiki-codesniffer (authored by Umherirrender). Umherirrender committed rEBTR2703f8d9b1df: Add mediawiki/mediawiki-codesniffer (authored by Umherirrender). Umherirrender committed rEBTK2683e497b92f: Add mediawiki/mediawiki-codesniffer (authored by Umherirrender). Umherirrender committed rEBTZ3f063a995e06: Add mediawiki/mediawiki-codesniffer (authored by Umherirrender). Umherirrender committed rEBSG4799ae036e22: Add mediawiki/mediawiki-codesniffer (authored by Umherirrender). Umherirrender committed rEBTS99108d5c819a: Add mediawiki/mediawiki-codesniffer (authored by Umherirrender). Umherirrender committed rEBSJa3f2e49c0851: Add mediawiki/mediawiki-codesniffer (authored by Umherirrender). Umherirrender committed rEBSI58b3ae073e89: Add mediawiki/mediawiki-codesniffer (authored by Umherirrender). Umherirrender committed rEBTNf48544bd5fbb: Add mediawiki/mediawiki-codesniffer (authored by Umherirrender). Umherirrender committed rEBSMUe53dfd51b56a: Add mediawiki/mediawiki-codesniffer (authored by Umherirrender). Umherirrender committed rEBSMUba3b9445709c: Add mediawiki/mediawiki-codesniffer (authored by Umherirrender). Umherirrender committed rEBTEcfe7117915c7: Add mediawiki/mediawiki-codesniffer (authored by Umherirrender). Umherirrender committed rEBTMd655f0201f79: Add mediawiki/mediawiki-codesniffer (authored by Umherirrender). Umherirrender committed rEBTPef56318abf10: Add mediawiki/mediawiki-codesniffer (authored by Umherirrender). Umherirrender committed rEBTLd2c9151b96ac: Add mediawiki/mediawiki-codesniffer (authored by Umherirrender). Umherirrender committed rEBTOb9f669d650b7: Add mediawiki/mediawiki-codesniffer (authored by Umherirrender). Umherirrender committed rEBSB479e5a879c34: Add mediawiki/mediawiki-codesniffer (authored by Umherirrender). Umherirrender committed rEBSEFfdb0b3333af5: Add mediawiki/mediawiki-codesniffer (authored by Umherirrender). Umherirrender committed rEBSENC1e850162bbd2: Add mediawiki/mediawiki-codesniffer (authored by Umherirrender). Umherirrender committed rEBTD65853c6e22bd: Add mediawiki/mediawiki-codesniffer (authored by Umherirrender). Umherirrender committed rEBTCe0c39034ac5d: Add mediawiki/mediawiki-codesniffer (authored by Umherirrender). Umherirrender committed rEBSO984488087786: Add mediawiki/mediawiki-codesniffer (authored by Umherirrender). Umherirrender committed rEBSO79d8d5452687: Add mediawiki/mediawiki-codesniffer (authored by Umherirrender). Umherirrender committed rEBTAfc696befcfb0: Add mediawiki/mediawiki-codesniffer (authored by Umherirrender). Umherirrender committed rEBTA605b659ee324: Add mediawiki/mediawiki-codesniffer (authored by Umherirrender). Umherirrender committed rEBSMd3155919bc08: Add mediawiki/mediawiki-codesniffer (authored by Umherirrender). Umherirrender committed rEBTB1b0afee11a66: build: Updating mediawiki/mediawiki-codesniffer to 25.0.0 (authored by Umherirrender). Umherirrender committed rEBTB16ffbf75b727: build: Updating mediawiki/mediawiki-codesniffer to 25.0.0 (authored by Umherirrender). Umherirrender committed rEWDV017a80e55f24: build: Updating mediawiki/mediawiki-codesniffer to 25.0.0 (authored by Umherirrender).